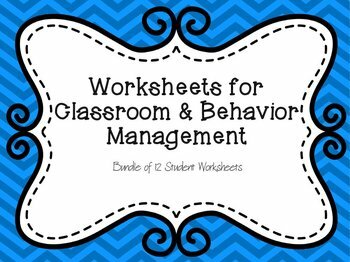 This bundle of 12 worksheets is a great set for managing classroom behaviors and altercations. 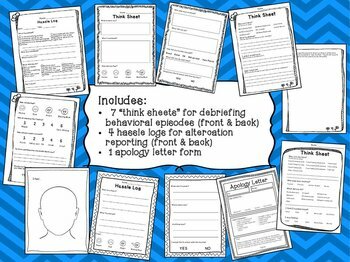 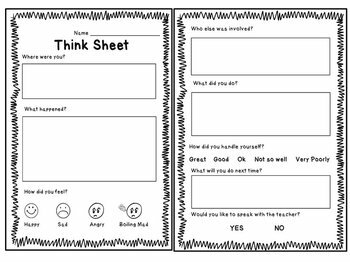 Worksheets are designed to guide students through a simple debriefing process after an incident, and range in difficulty. 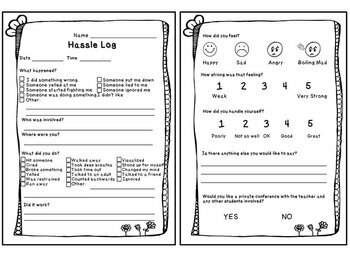 A great set for Kindergarten through 8th grade classroom management.